The CRSI held it’s first meeting in the Carraig-Mór Centre (Shanakiel, Cork City, Ireland) special care unit on May 2007 and gained its certificate of incorporation as a Charitable Foundation (Companies Office Dublin 458024) on Thursday 29th of May 2008 with the aim of bringing together professionals and service users from the fields of Mental Health, Special Care Services and Academia. Our ninth annual conference, which is free to attend, will be held at Brookfield Health Sciences Complex, University College Cork on the 8th June 2016. In order to attend this conference, please download and fill in your details on the following form. Once you have filled in your details, please email to liis.cotter@hse.ie. We have advanced the following aims by running annual conferences in conjunction with University College of Cork (UCC) and by disseminating conference proceedings, research, practice tools, policy documents and recovery narratives. Promoting a learning culture among the multi-disciplinary team. Fostering a climate of recovery and social inclusion. 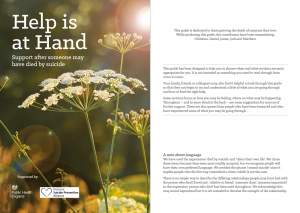 Facilitating user involvement in mental health service development and provision. Actively increase our multi-disciplinary Research and Development capability. Promote the continuing development of all staff by encouraging a learning culture. Attract internal/external funding for Research and Development. Disseminate knowledge of evidence-based practice. Develop a multi-disciplinary research strategy utilising a recovery-orientated model of care. Maintain “Health Service Executive” and local Research and Development standards. 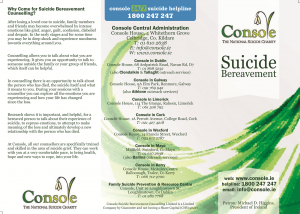 Promoting recovery-orientation in mental health services, Inter-agency working in mental health, Disseminating research in mental health, Joint-working between health services, prison services and voluntary services. 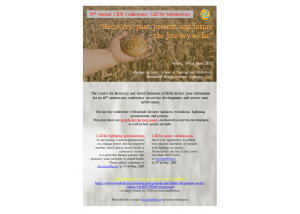 Please contact Liis Cotter, CRSI Secretary at liis.cotter@hse.ie for any queries regarding CRSI events. 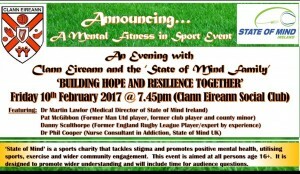 For more information on CRSI events, please visit the State of Mind Ireland Events.